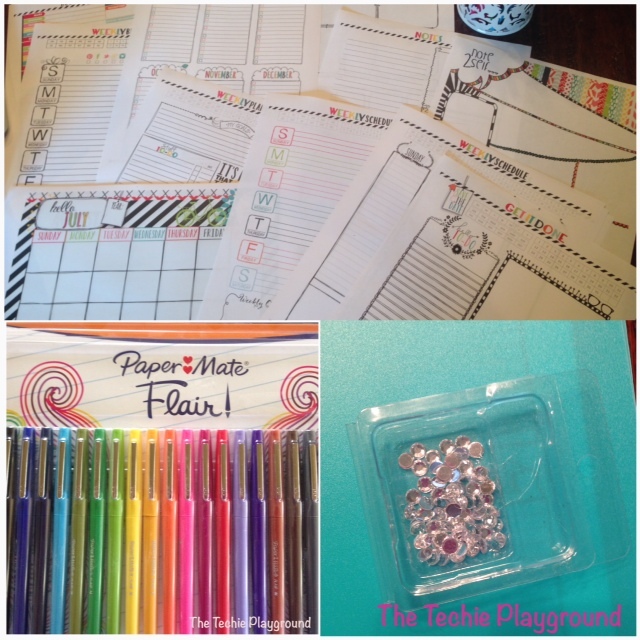 Grad school is about to end and I have got to get back to being organized! I am linking up with Kreative in Kindergarten and Keeping Up with Mrs. Harris for my first Plan with Me Sundays! With that being said . 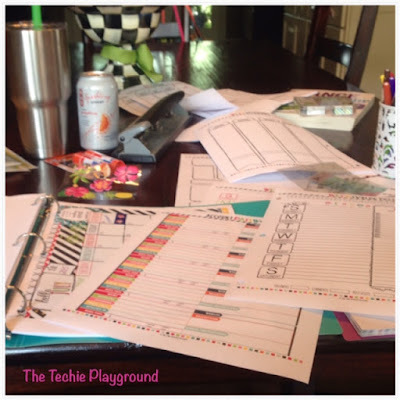 . . this post is really about me getting organized to get organized! Where does one start? . 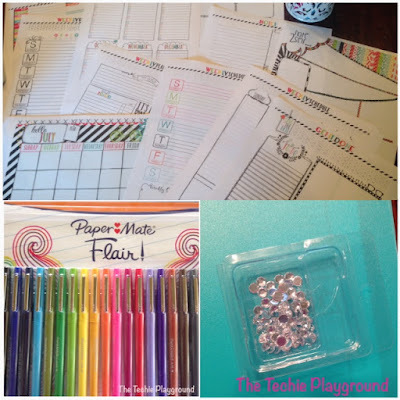 . .
3) and The 3am Teacher's Hello Planner over at her TpT store! 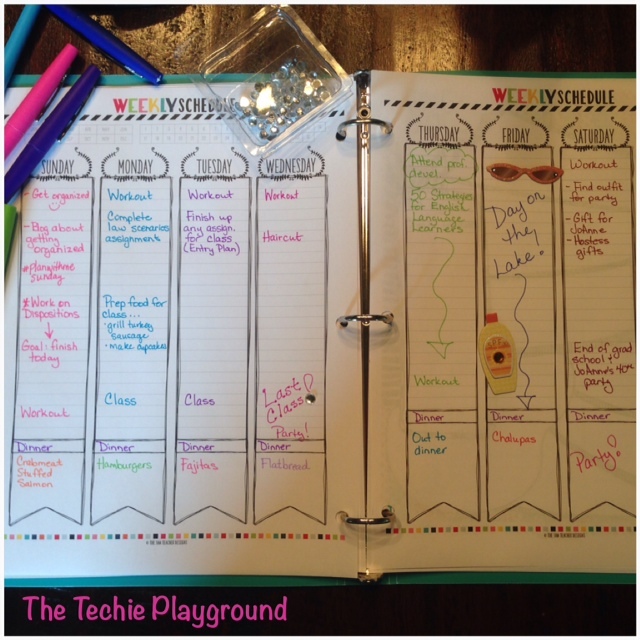 I have been eying this planner! Files and files of fabulousness! turned into . . . this! too many choices! A bit overwhelmed! I put on some Enya . . . and asked myself . . . Self - "What do you need for this week? Remember, you still have class, several legal scenarios to analyze and write a plan for, 7 dispositions to complete, and an entry plan to write!" My must haves for this week . . . I think my family is about to disown me for the number of times I have forgotten birthdays! 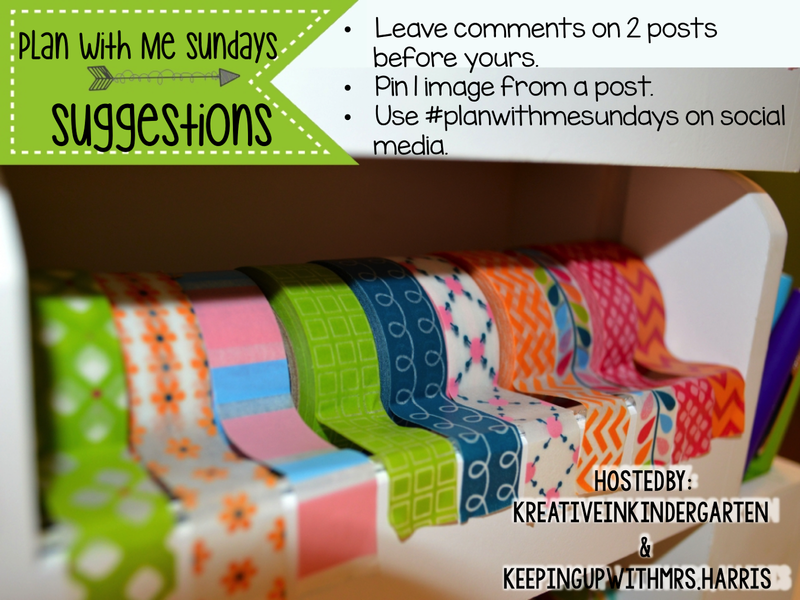 Weekly Blog Posts . . . wishful thinking, but hey, it could happen! Notes . . . had a hard time picking which one for this week. All too cute! I found some stickers left over from the "never ending 6th grade projects" my daughter had this year. Each week is a different color, some more stickers . . . and one sparkle. The sparkle is for the one thing that I'm looking forward to happening this week. Although, I could have put several sparkles on many events for this week! I love the bottom portion. I'm using it to organize dinner for the week. We have been very bad about going to the grocery store every day . . .
Tonight . . . crabmeat stuffed salmon! 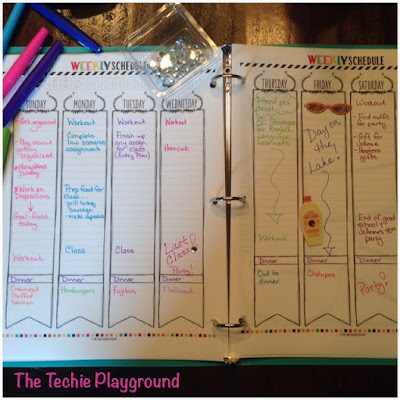 I must add that I love my Google Calendar, but that's a whole other post! Head over to . . . Kreative in Kindergarten and Keeping Up with Mrs. Harris to see how others are getting organized. I have learned some great new tips! Happy planning & Happy Sunday! I love my 3AM Teacher planner! Michelle is a doll and when I say pretty please will even help me out on a page that I would die for. She really thought of everything when she made it! Let me know if you need help picking pages :) I've gotten pretty good at it! Thanks for linking up! Thanks, Meghan! She really has thought of everything. 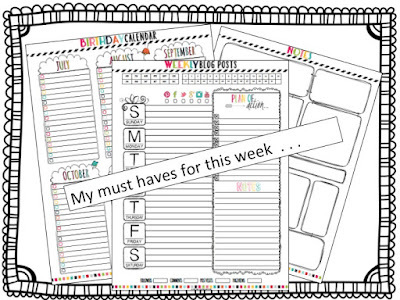 I am right there with you as far just starting to use a planner! If you read my link up post, you'll see that I have been very much a "fly by the seat of my pants" kinda gal! 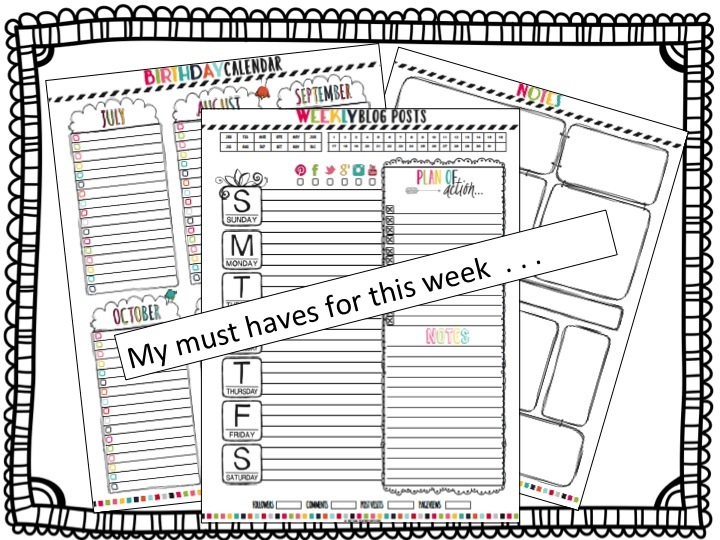 It has worked for me; however, with the school year quickly approaching, and my girls being involved in their own activities, I feel that it is time to begin using a planner! Good luck to you! I read your post! Loved the honesty! I am right there with you. I always thought what do I really need and also what I should do first. I love flair pens and how they will help with color coding for me. Have a great week!! There is just something about a big-o-pack of new Flair pens! I have always liked color coding and encouraged my students to color code when taking notes or writing. First Periscope . . . Fav App to Start the Year!